The other weekend my darling Husband released me from my parental duties and I hotfooted it to the airport and jumped on a plane to Sydney. Of course this wasn't a spur of the moment thing, I had enrolled last year to attend Urban Stitches in Sydney. Thinking that by 15 months Amelie would be well and truly weaned and sleeping like a champion. In truth she weaned herself off the last feed the weekend before (much to the relief of Husband Guy)and we had managed to get her to sleep through the night for most nights the preceding week. 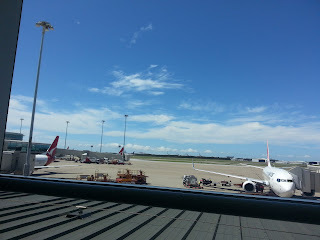 I arrived on Saturday afternoon for the Sunday course, well timed on my part I thought, allowing myself several hours of shopping, time for drinking and an uninterupted night sleep! I pursueded my friend Frances who was attending the course with me to come and bunk down in my hotel room with me so we could have lots of time to chat, drink and just walk (stumble) next door for the course the next morning. 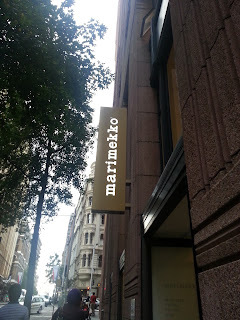 But back to the shopping. 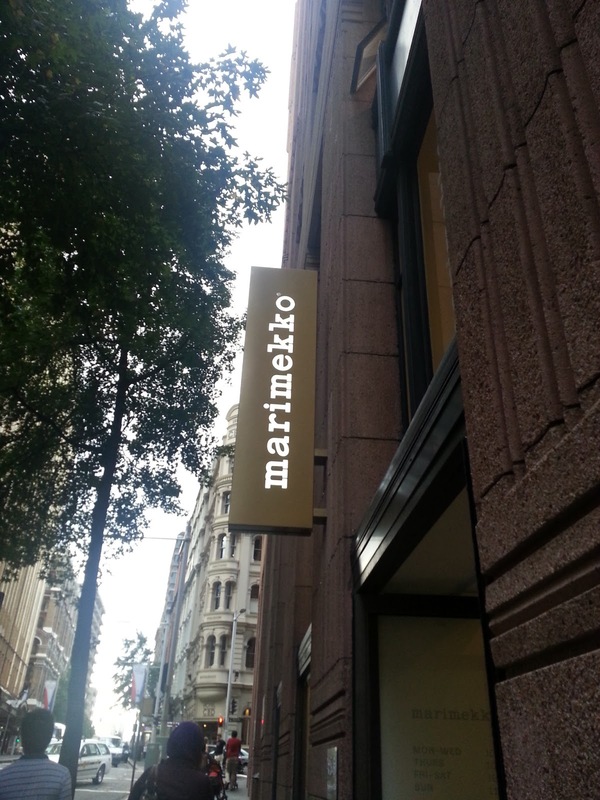 My first stop was always going to be the Marimekko shop. 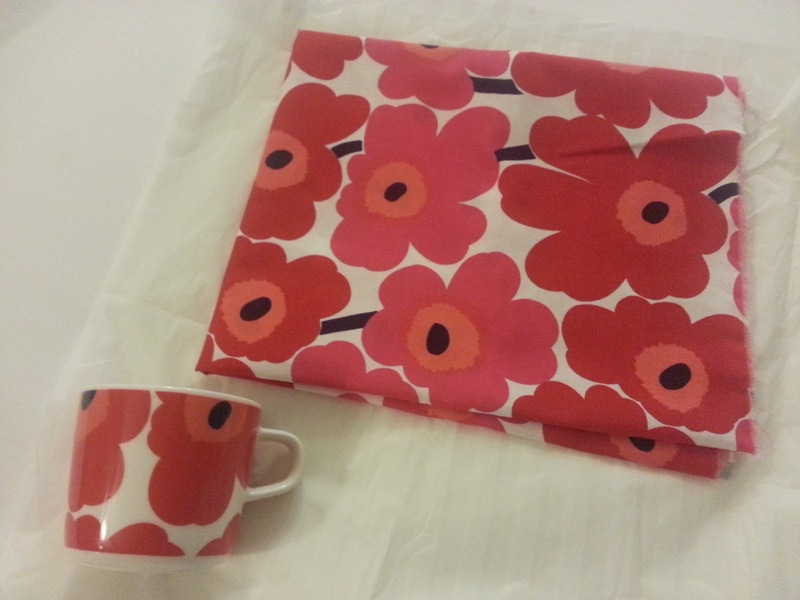 I love their iconic red flower print so was determined that my present to myself for the weekend would be a piece of the fabric or something similar. I ended up choosing a coffee cup (which is a great size, not a massive mug that you swim in) and of course a half metre of the coveted fabric. 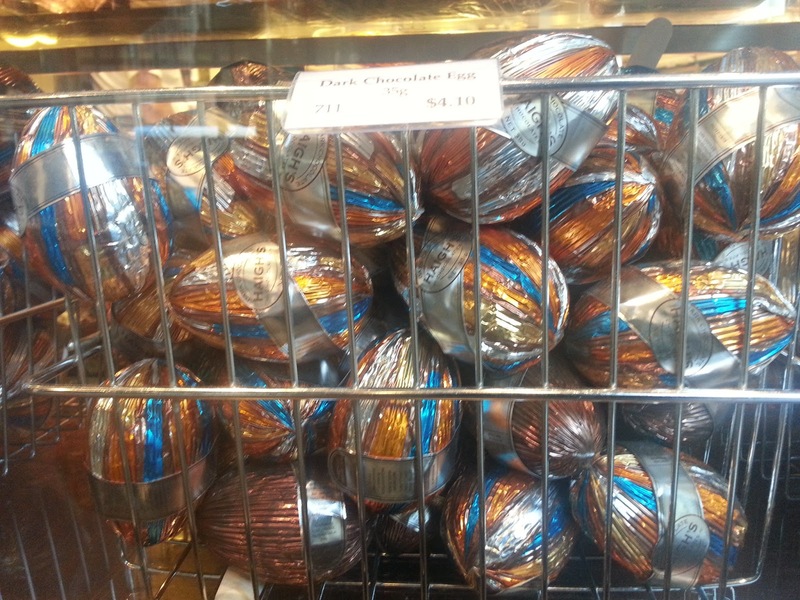 Next stop was Haigh's. A massive family favourite and sadly unavailable in Queensland, apparently due to the heat. I love the colours they used for their easter display. I also stopped in at the Japanese bookshop Kinokuniya which had the most awesome selection of craft and art and inspiring books. 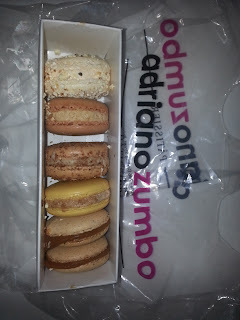 I did leave empty handed but it was so worth the visit to soak up the inspiration alone. 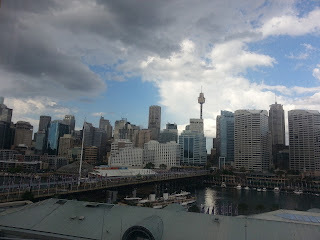 Then I strolled back towards Darling Harbour and a restaurant my Hubby had suggested I try. It is a restaurant/wine bar (fancy) that he discovered whilst in Sydney on a conference last year. His suggestion was I at least treat myself to a champers at the bar. 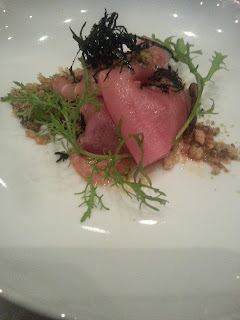 Saturday night they only serve degustation of 9 courses but for wine bar patrons they will sell you individual dishes. Suffice to say I had a Tuna course and a cheese course with a glass of champagne and a glass of a crisp white from the Basque region. 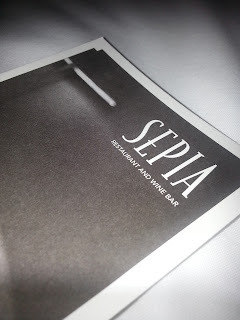 Well worth a try if you are in Sydney and would like a nice meal and atmosphere - Sepia. My night ended with some great company (Hi Fran! 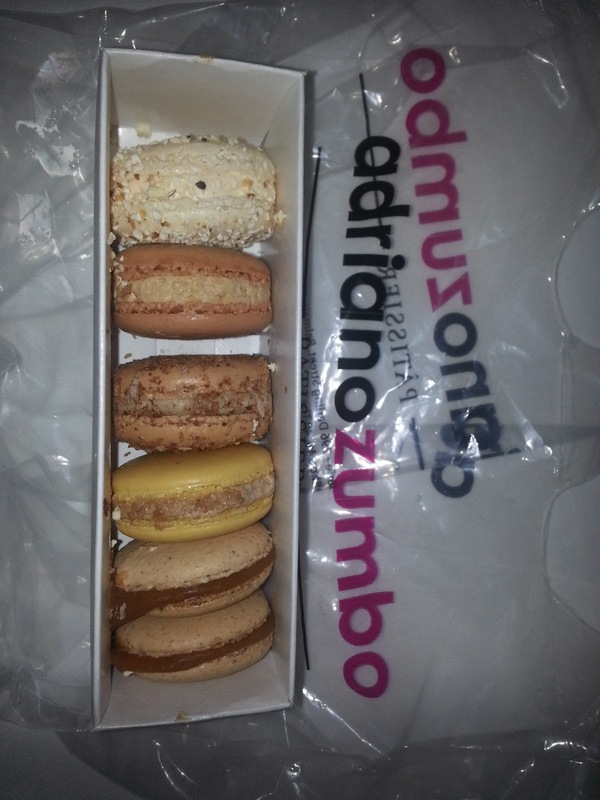 ), some Zumbo macarons (also sadly not available in QLD) and a very nice bottle of wine. Part 2 to come.... the actual event.